CGPSC Recruitment 2019 - Apply Online for 1384 Assistant Professor Posts in Higher Education Department, Chhattisgarh on Direct Recruitment. Online Applications are invited by Chhattisgarh Public Service Commission, Raipur from 04 Feb 2019 to 05 Mar 2019 11:59 PM for 1384 vacancies. Eligible candidates may apply online at CGPSC's website (direct link is given below) from 04 Feb 2019 to 05 Mar 2019 11:59 PM. CGPSC Recruitment 2019 - Apply Online for 117 Librarian & Sports Officer Posts in Department of High Education, Chattisgarh. Online Applications are invited by Chhattisgarh Public Service Commission, Raipur from 05 Apr 2019 12:00 PM to 04 May 2019 11:59 PM for 117 vacancies. 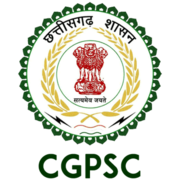 CGPSC Recruitment 2019 - Apply Online for 17 Lecturer Posts in Department of Health and Family Welfare, Chhattisgarh. Online Applications are invited by Chhattisgarh Public Service Commission, Raipur from 23 Apr 2019 12:00 PM to 22 May 2019 11:59 PM for 17 vacancies. CGPSC Recruitment 2019 - Apply Online for 10 Assistant Director Posts in Department of Statistics and Economics, Chhattisgarh on Direct Recruitment. Online Applications are invited by Chhattisgarh Public Service Commission, Raipur from 12 Mar 2019 12:00 PM to 10 May 2019 11:59 PM for 10 vacancies.